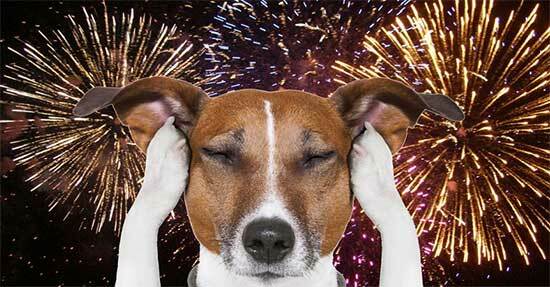 The Animal Defense League of Texas shares the following tips on helping your pet get through the stress associated with the noise from fireworks. Close the curtains or blinds and turn on the TV or radio to provide some distraction. Treat toys such as kongs filled with their favorite food may help keep their minds busy and distract them from the fireworks. A quiet place, such as a carrier or crate may provide your pet with a sense of security and comfort. Use a leash or carrier if you must go outside with your pet to keep them from running off which is a common response to stress and fear. Practice fire safety! Keep pets away from matches, open fires, and fireworks. Pets may try to sniff (or eat) fireworks and pet hair can easily catch fire if they get too close. Take pets for a walk before the fireworks begin. Some pets are too frightened to go out once the fireworks are popping, and this may lead to an “accident” later on. Make sure your pet’s ID is current. Your pets should always have proper identification tags, with current information, in case they get lost. Micro-chipping is strongly recommended.